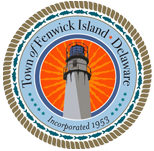 The Town of Fenwick Island is required by law to have an Emergency Management Plan. Below are a list of emergency plan resources including a summary about the new Smart911 service offered by Sussex County Government. Sussex County Government unveiled Smart911, a supplemental data service that allows you to create a safety profile that can be seen by emergency responders when you call 9-1-1. To sign up for this service go to www.smart911.com.